Arista Introduces Switches for Cloud Network "Spline"
Arista Networks introduced its 7300 and 7250 high-density switching platforms for cloud and enterprise data centers. 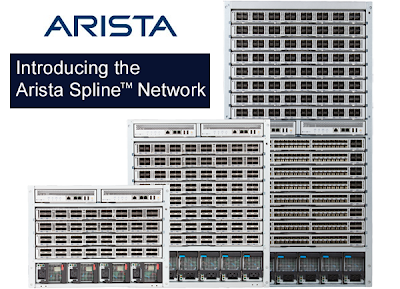 Arista also introduces its "Single Tier Spline" architecture for simplifying data centers by simplifying cabling, consolidating servers, migrating between virtual to physical networks and controling IP storage. 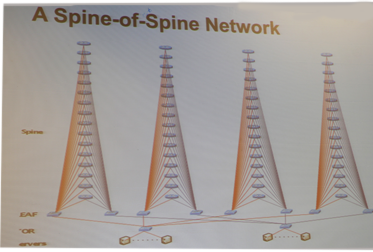 The idea is to collapse the leaf and spine together into a single-tier network for performance and latency sensitive cloud applications. Arista said its design can bring true deterministic performance for up to 2000 hosts in one cluster while lowering operating and capital asset costs by 40%. Arista provides a single binary image of Arista EOS, purpose built for open cloud applications. Arista EOS’s unique foundation is a state-driven multiprocessing operating system. Partnerships with F5, Palo Alto Networks, Splunk and Riverbed. The Arista 7300 is comprised of three chassis: the Arista 7304, 7308 and 7316 with 4, 8 and 16 line card slots respectively. All three share a common resilient architecture that scales up to 512 ports of 40GbE or 2,048 ports of 10GbE, with wirespeed performance of 40Tbps (terabits per second) of throughput. X Series line card modules for the Arista 7300 include 10GBASE-T, SFP and QSFP configurations. Front-to-rear and rear-to-front airflow options along with platinum rated power supplies allow for improved efficiency and middle-of-row Spline configurations. Two Arista 7316 Series systems can fit in a single 42RU rack supporting over 4000 10GbE ports. With power consumption under 3W per 10GbE port and latency under 2 microseconds, a pair of 7300 series switches replaces two Catalyst 6509Es with more than ten times the scale, throughput, latency improvement and power efficiency. The 7300X series are available in Q1 2014 from $500 per 10GbE port. The Arista 7250X Series is a high density solution delivering 64 ports of wire-speed 40GbE or up to 256 Ports of 10GbE in a compact and power efficient two rack unit fixed form factor with redundant and hot-swap power supplies and fan modules. It offers a Layer 2 MAC table and Layer 3 routing tables that dynamically expand based on the application to support up to 288K MAC entries, or 144K routes. It also supports Arista’s LRL4 QSFP optics that require a single pair of single mode fiber, reducing the fiber requirements by 75% compared to existing choices. The 7250QX-64 is available now and shipping for $1500 per 40GbE port. The big six cloud companies are on CAPEX growth trajectories that will take them past the traditional telcos in a few years, said Andy Bechtolsheim, Chairman of Arista Networks. There is a race to build gigantic data centers that are more efficient and powerful than anything seen before. 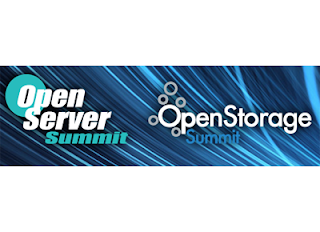 Speaking at the Open Server Summit in Santa Clara, California, Bechtolsheim said the expected gains from Moore's Law coupled with promising developments in silicon photonics and virtualization technologies, make it likely that the hyper-scale data centers will continue to hold a competitive advantage over the coming decade. So, how do you build a network for a data center with 100,000+ servers and millions of VMs? Bechtolsheim said his company has already seen (and won) competitive bids for 100,000+ ports of non-blocking 10 GigE server connections. The ideal network, he said, should be truly transparent, flat and universal. This means the bandwidth and latency between any two servers in the data center should be the same. A top-of-rack switching architecture is preferred. To scale it for the biggest of data centers, Arista has developed a "Spine-of-Spine" network architecture that could scale to link up to 884,000 servers at 10G with a 3-1 oversubscription. 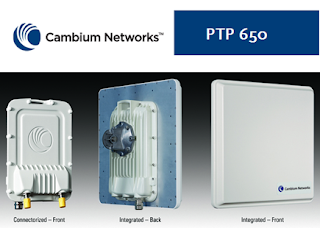 Cambium Networks introduced a sub-6 GHz addition to its field-proven PTP portfolio, which is designed for for wireless backhaul applications for public safety, government, utilities, oil and gas and service provider deployments. The new wireless broadband platform offers throughput of up to 450 Mbps in a 45 MHz channel, delivers 10 bps/Hz and operates in any frequency between 4.9-6.05 GHz. The platform leverages Cambium's Dynamic Spectrum Optimization technology for maximum reliability through link optimization and offers a wealth of management services. The PTP 650 also offers data encryption and secure management features. For spectrum-congested areas, it support a variety of channel widths -- 5, 10, 15, 20, 30, 40 and 45 MHz. "Already, PTP 650's wide range of capabilities has resonated deeply with a number of tier one service providers across the globe. The product is being tested in over 20 lab trials with some of the world's most respected carriers in North America, Europe and Asia," said Atul Bhatnagar, president and CEO, Cambium Networks. "Tremendously applicable across verticals, distances and environments, PTP 650 is primed to make a significant difference in securely and safely connecting the world." 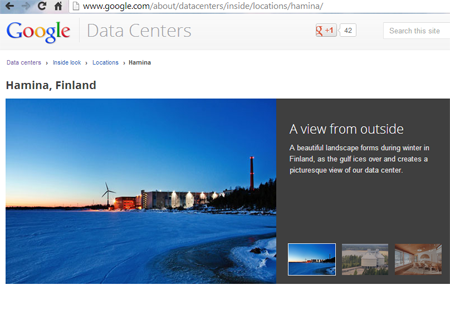 Google disclosed plans to invest a further EUR 450 million to expand its data center in Hamina, Finland. In 2009, Google acquired an abandoned paper mill on the Bay of Finland, investing an initial EUR 200 million to launch Phase I of the data center. The facility takes advantage of the naturally chilly sea water for cooling. In August 2012, Google announced an additional EUR 150 million investment in Phase II of the data center. Nokia Solutions and Networks and China Mobile Research Institute (CMRI) have expanded a Memorandum of Understanding (MoU) originally signed in 2010 to include advanced mobile broadband technologies in LTE as well as in 5G. The MoU reflects their vision of 2020 and outlines key focus areas for future mobile networks. The parties agree to enhance joint research, standardization, and prototype development activities in advanced technologies such as 5G, LTE deployment optimization, cloud-based radio access network (C-RAN), the innovative “Nanocell” concept for next-generation small cell deployments, coexistence of 2G / 4G and core virtualization. Alcatel-Lucent announced three financial transactions amounting to approximately US$1.965 billion to provide financial support for its "Shift" transformation plan. These include a capital increase for an amount of €955 million, its intent to launch a high yield bonds offering in an aggregate principal amount of US$750 million and the execution of a commitment letter for the implementation of a new syndicated revolving credit facility of €500 million. SiTime Corporation, which specializes in silicon MEMS solutions for timing and synchronization applications, announced new venture funding led by Innovative Venture Fund, which is co-operated by NEC Capital Solutions and SMBC Venture Capital. All major investors participated in this oversubscribed round. Also, a new partner, Hercules Technology Growth Capital provided a commitment for debt financing to SiTime. 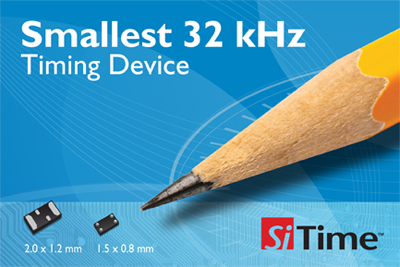 Earlier this year, SiTime introduced a family of 32 kHz MEMS oscillators designed to replace legacy quartz crystal resonators in mobile devices, such as smartphones, tablets, fitness monitoring and watch products, medical monitoring and wellness devices, etc. 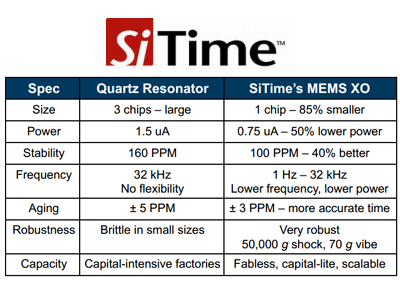 As with the company's other MEMS timing solutions, the new SiT15xx family of oscillators compare favorably to existing quartz-based devices in several ways; SiTime’s MEMS are 85% smaller, use 50% less power, and significantly exceed the reliability metrics of quartz by 15 times. The SiT153x family operates from a 1.2V to 3.63V regulated power supply, making them ideal for smartphones that use a coin-cell or super-cap battery backup. The SiT154x family also replaces quartz crystal resonators and operates from a 2.7 to 4.5V unregulated Li-Ion battery. The Open Networking User Group (ONUG) published a list of use case requirements aimed at to ensuring that the market delivers lower OpEx and CapEx, greater choice and faster delivery of innovative IT solutions. Real world user deployments, market updates, independent test results, and use cases were presented at a the ONUG Fall 2013 meeting last week in New York City hosted by JPMorgan Chase. Vendors participating at ONUG Fall 2013 included Adara Networks, Anuta Networks, Arista Networks, Big Switch Networks, Cisco, cPacket Networks, Cumulus Networks, Embrane, Evertz Microsystems, Extreme Networks, Gigamon, Glue Networks, HP, IBM, Intel, Ixia, Juniper Networks, NEC, Nuage Networks, OpenDaylight, PLUMgrid, Stateless Networks, vArmour, Vello Systems and VSS Monitoring. The ONUG Board is composed of IT leaders from Bank of America, Citigroup, Fidelity Investments, GAP Inc., JPMorgan Chase &Co., UBS, Nick Lippis of the Lippis Report and others. Additional information on the use cases is online. 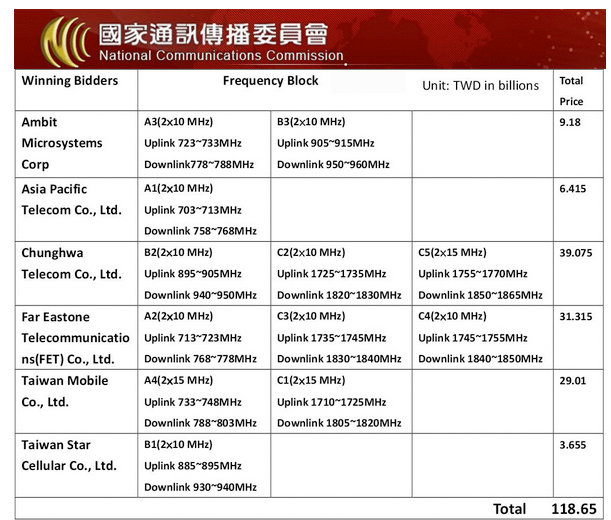 The government of Taiwan raised a total of NT$118.65 billion (US$4.01 billion) in an auction of of 27 0MHz of spectrum in the 700MHz, 900MHz and 1,800MHz bands. The auction exceeded the reserve price by 231%, indicating a pent-up demand for mobile broadband service. Gigamon reported Q3 revenues of $39.0 million, compared to $25.7 million in the third quarter of fiscal 2012, representing growth of 52% year-over-year. GAAP gross margins of 80% in the third fiscal quarter, in line with the third quarter of fiscal 2012. GAAP net income for the third quarter of fiscal 2013 was $1.4 million, or $0.04 per diluted share, compared to GAAP net income of $1.1 million, or $0.06 per diluted share, in the third quarter of fiscal 2012. "We are pleased with the results this quarter demonstrating our continued ability to execute," said Paul Hooper, CEO of Gigamon. 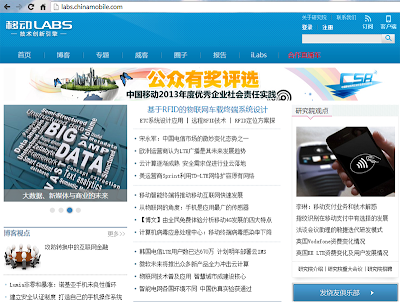 "During the quarter we added 86 new customers including 19 Fortune 1000 companies. We also received the largest order in the company's history from a first time customer, indicating that visibility fabrics are increasingly being designed into major infrastructure projects. We are especially pleased with the performance of the GigaVUE HB-1, which experienced the fastest ramp of any Gigamon product since its launch in late June." Dr. Marcus Weldon has been appointed President of Bell Labs, replacing Gee Rittenhouse, who has has decided to retire from Alcatel-Lucent in order to focus on other business interests. Weldon has served as Corporate CTO of Alcatel-Lucent since 2009. He joined Bell Labs in 1995, and has held a variety of leadership roles in both research and technology development functions. Dr. Weldon was one of the primary architects behind the evolution of the company's Triple-Play Service Delivery Architecture to the High Leverage Network. He holds a Bachelor of Science in Chemistry and Computer Science from King’s College, London, and a Ph.D. in Physical Chemistry from Harvard University. Ruth Milkman, Chief of Staff -- previously served as Chief of the FCC’s Wireless Telecommunications Bureau from August 2009 to June 2011, and from June 2012 until the present. Philip Verveer, Senior Counselor to the Chairman -- previously serves as U.S. Coordinator for International Communications and Information Policy at the U.S. Department of State and, before that practiced communications and antitrust law in the government and in private law firms. Broadband Internet Technical Advisory Group (BITAG). Inmarsat and Vice President, Regulatory Policy at CTIA, The Wireless Association. Daniel Alvarez, legal advisor to the Chairman -- has practiced law at the firm of Willkie Farr & Gallagher LLP since 2005. Renee Gregory, legal advisor to the Chairman -- has worked at the Commission since 2012, first as a legal advisor to Chairman Genachowski and then as Chief of Staff of the Office of Engineering and Technology. Maria Kirby, legal advisor to the Chairman -- has served since 2012 as a legal advisor to the Chief of the Wireless Telecommunications Bureau.